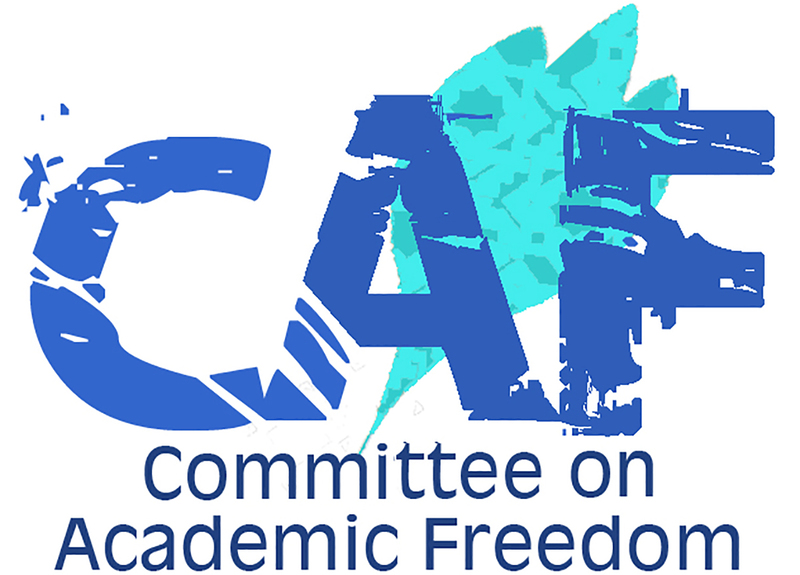 We write on behalf of the Middle East Studies Association (MESA) of North America and its Committee on Academic Freedom (CAF) in order to express our deep concern regarding the latest developments at Ankara University. There are alarming reports related to conduct by the university’s government-appointed Rector, Erkan İbiş, who has launched more than sixty disciplinary investigations against academics and former deans on grounds that violate basic precepts of academic freedom. More recently, with the emergency decree [or, in Turkish, Kanun Hükmünde Kararname (KHK)] 679 issued on 6 January 2017, twenty-one (21) Ankara University academics were terminated, nine of whom were signatories of a peace petition, continuing the pattern of harassment of petition signatories that we have previously drawn to your attention (see our letters dated 14 January 2016, 22 February 2016, 17 March 2016, 6 September 2016 and 7 November 2016). Among the over sixty disciplinary proceedings brought by Rector İbiş’s administration are a number of investigations launched against academics based solely on emails that they sent to a university listserv. Two recent examples include investigations opened against Barış Ünlü, an Assistant Professor in the Department of Political Science, and Cenk Yiğiter, a now-terminated Teaching and Research Assistant in the School of Law, for the content of their emails expressing criticism of the university administration system in Turkey and decrying violations of academic freedom. Moreover, the dozens of disciplinary proceedings launched by Rector İbiş, such as those against Professor Ünlü and Dr. Yiğiter, have far-reaching consequences. Since May 2016, those Ankara University faculty members who are subject to disciplinary investigations are prohibited from accepting visiting academic positions abroad. Thus, these disciplinary actions not only involve harassment-like investigations against critical faculty members but also undermine their academic freedom by preventing them from taking up academic positions abroad. Cenk Yiğiter appears to have been targeted for disciplinary action by Rector İbiş in retaliation for a critical email that Yiğiter wrote concerning a session taught by Rector İbiş at the ruling AK Party’s (AKP) political academy. In November 2016, Rector İbiş—a nuclear medicine specialist—offered a seminar to AKP politicians and members of the party entitled “Radiation and Human Beings” [Radyasyon ve İnsan] as a session of the AKP’s political academy. According to public summaries of his lecture, Rector İbiş focused in that session on the advantages of nuclear energy, offering support for one of the most contentious aspects of the AKP’s energy policies. Rector İbiş argued that the benefits of nuclear energy far outweigh the risks and that nuclear research in the medical field was an area primed for accelerated research and development with a view to stimulating innovation and profit. Dismissing environmental risks attendant to nuclear energy development, İbiş’s presentation reportedly attributed scientific evidence of such risks to the petroleum lobby’s efforts to suppress alternative energy research, and asserted that radiation is the energy source of the future. He also reportedly argued that car accidents and cigarette smoking pose greater health risks than nuclear weapons. In an email sent to the university listserv, Dr. Yiğiter criticized the rector’s session at the AKP’s political academy and called attention to the double standard by which this session was deemed permissible by the Higher Education Council (YÖK), whereas teaching at an opposition party’s political academy is deemed impermissible. Indeed, we have written to the Turkish government previously (letters dated 21 November 2011 and 4 October 2013), when Professor Dr. Büşra Ersanlı was detained for having taught a session on gender at a political academy convened by then-opposition party the BDP (Barış ve Demokrasi Partisi). Based on Yiğiter’s critical email, Rector İbiş launched a disciplinary investigation against him, the sixth in the last nine months, on allegations of “defamation” against the rector himself. The university administration required Dr. Yiğiter to offer his defense against the defamation allegations by appearing at a remote school 80 kilometers away from the city center, where the main campus is located. In addition, the disciplinary hearing was scheduled by the administration at a date and time that conflicted with Dr. Yiğiter’s teaching schedule, forcing him to choose between offering a class in keeping with his contractual obligations and his students’ right to education, on the one hand, and defending himself against harassment by the university administration through arbitrary and frivolous disciplinary investigations, on the other. The second recent investigation opened after a faculty member sent a critical email to the Ankara University listserv is the case of Barış Ünlü. MESA’s CAF has already written two letters concerning Dr. Ünlü (please see our previous letters dated 3 November 2015 and 12 December 2012). In an email he sent to the listserv, Dr. Ünlü criticized the reshaping of Turkey’s higher education sector by way of new regulations that have been put in place through emergency decrees, including the elimination of public universities’ elections of their own rectors and the authority accorded to President Erdoğan alone to appoint rectors across the country. CAF also addressed this issue in our letter to you dated 7 November 2016. In his email, Dr. Ünlü responded to arguments by some rectors that the new regulations are justifiable because public universities are funded by the state and thus should be subject to state-appointed leadership. Dr. Ünlü argued, rather, that public universities are funded with taxpayers’ money, not as an asset of the state but as an institution to benefit the public. Following his email, the university administration opened an investigation against Dr. Ünlü without clearly identifying the relevant conduct, alleging vaguely that he is being investigated for “targeting the university administration.” Further, the notification of the disciplinary investigation that he received does not carry an official document number as it should. The vagueness of the allegations and the lack of an official number suggests that the disciplinary action is being undertaken with the simple purpose of harassing its target and thereby repressing freedom of expression and stifling faculty criticism of university administration or the regulatory structure by which rectors are selected. Further, these baseless investigations are used as pretext to prevent faculty from accepting visiting academic positions abroad, thus further violating their academic freedom. The authoritarian practices developed under the leadership of Rector İbiş precede the attempted coup of July 2016 and the state of emergency that followed. Government-sanctioned purges and repression targeting academics in the aftermath of the failed coup have, unfortunately, created a permissive environment for further abuses of authority by Rector İbiş. For instance, İbiş initiated a disciplinary investigation against Kerem Altıparmak, an Assistant Professor of Law at Ankara University, for teaching a discussion session dedicated to the legal characteristics of the current state of emergency and the government’s recent emergency decrees in his law class on 26 October 2016. The session included himself and three guest lecturers and was designed as an educational session for students. While there should be nothing objectionable to law students learning about the current legal circumstances in Turkey, İbiş may have seen an opportunity to mark the professor and participants as critics and to curry favor by initiating a disciplinary investigation as retaliation against them. On 6 January your government issued the most recent emergency decree, KHK 679, which reinforced the arbitrary actions by Rector İbiş against members of the Ankara University faculty. Twenty-one faculty members were terminated at Ankara University—nine of whom were signatories of the Peace Petition. Among the dismissed signatories at Ankara University is Dr. Yiğiter, who is now officially fired, like the others, for allegedly supporting terrorism. As has been the case for all faculty terminations by emergency decree, not a single piece of evidence has been presented to suggest that any of the terminated faculty has the slightest association with terrorism. In fact, in the particular case of Dr. Yiğiter, reportedly following Rector İbiş’s lead, the police secretly tapped his phone and followed his correspondence and activities for three years and concluded that there was no evidence of any link to terrorism. Indeed, the list of faculty terminated at Ankara University strongly suggests that the government invited Rector İbiş to submit his own wish-list of critical or opposition academics to be terminated. Thus, İbiş was able to use the pretext of the state of emergency to purge academics whose political positions and scholarship he disagrees with, turning KHK 679 into an extension of his ongoing attacks on academic freedom at his university. A total of forty-five (45) academics have been terminated from Ankara University as a result of the actions announced by the emergency decrees 672, 675, and 679 issued on 1 September 2016, 29 October 2016, and 6 January 2017, respectively. The 45 terminated academics are Abdülcelil Kaya, Ahmet Ozan Değer, Aysun Gezen, Bilal Gürbüz, Cengiz Yalçın, Ekrem Batır, Ercan Sünger, Esat Çınar, Esra Dabağcı, Fatih Işıl, Fatih Ömek, Ferit Kemal Sönmez, Gülden Akın, Gülseren Adaklı, Hasan Sevban Kapdan, İlkay Kara, Kürşat Günay, Mesut Çiçek, Nail Dertli, Onur Can Taştan, Ziya Kundakçı, Rıdvan Can, Volkan Alkan, Yunus Yükselten, Ahmet Keskin, Bahar Şimşek, Burçin Kalkın Kızıldaş, Cenk Yiğiter, Cihat Kağan Gürkan, Emrah Olur, Furkan Dilber, Hasan Faruk Alpkaya, İbrahim Karataş, İslim Sungur, Leyla Işıl Ünal, Mehmet Sungur, Mesut Uyanık, Metin Yıldırım, Nuran Kayabaşı, Özlem Albayrak, Özlem Türedi, Sevilay Çelenk Özen, Süreyya Karacabey, Tezcan Durna, and Tuğba Öznur Bayram. Associate Professor Sevilay Çelenk, who was terminated from her position at the university by KHK 679, is another faculty member who had been previously targeted by Rector İbiş. Associate Professor Çelenk is a scholar of media and communications and also a signatory of the Peace Petition. Reportedly, she had prepared her file for promotion a week before the Peace Petition and applied for a full professorship. Not only did Rector İbiş fail to follow the ordinary procedure in assessing her application to full professorship by waiting several months before sending her application to a committee, but also, when the committee members made favorable evaluations of her dossier, İbiş reportedly sent the dossier back, asking these members to reevaluate Dr Çelenk’s dossier on the grounds that she is a signatory of the Peace Petition. This is a clear violation of academic freedom and only one of the most recent instances of the highly unethical behavior displayed by Rector İbiş in his administration of Ankara University. Indeed, Rector İbiş’s deeply troubling record of attacks on academic freedom is extensive. Despite hundreds of student applicants to programs such as African Studies (a Center previously targeted by the Ankara University administration for uncovering racism against Africans in Turkey; see our letter dated 12 December 2012), International Relations, and Women’s Studies, Rector İbiş routinely blocked admissions by these departments and centers, or arbitrarily limited their intake to as few as three students. The only plausible explanation for these sudden and unprecedented restrictions on admissions by Rector İbiş is his hostility to the faculty and subject matter of these programs. In a similar move, Rector İbiş prevented the teaching of a required modern Turkish history course by the faculty at the renowned School of Political Sciences (Siyasal Bilgiler Fakültesi, or SBF) at Ankara University on the grounds that the faculty were teaching students about Armenians and Kurds. Whereas SBF is known as one of the most important schools in the history of modern Turkey in training diplomats and politicians, Rector İbiş took steps to effectively curtail the program’s influence—much like his efforts to limit students’ access to curricula on women, minorities, and racism—for political reasons. Rector İbiş also presided over an administrative decision to welcome riot police on campus to brutalize dissident students and faculty and obstruct classes. When Professor Serpil Sancar, Dean of SBF, resigned in protest against police brutality that interrupted classes and detained students and faculty, and made the reasons for her resignation public, Rector İbiş opened a disciplinary investigation against her on the grounds of “improper behavior.” Dean Sancar’s predecessor, former SBF Dean Yalçın Karatepe, was also subjected to harassment by Rector İbiş with a series of investigations. One such investigation concerned the fact that then-dean Karatepe had “liked” a tweet critical of Rector İbiş on Twitter. Indeed, Rector İbiş opened many investigations against Ankara University faculty members for their Twitter activity deemed critical of the university administration, of AKP politicians, or of the Higher Education Council. Some of these academic personnel may also have been subjected to investigations because they are signatories of the Peace Petition and/or members of leftist unions. What is clear is that those faculty who are petition signatories, members of the educators’ union Eğitim Sen or otherwise identified as critical or left-leaning have been terminated by the two decrees of 1 September 2016 and 6 January 2017. There is every reason to believe the targeting of these academics by Rector İbiş played a role in their eventual termination. Rector İbiş’s actions as the lead administrator at Ankara University are inimical to academic freedom and violate the most basic precepts of critical inquiry and scholarly research. He is targeting and cutting back programs on the grounds that they address subject matter he deems too critical. He has placed academic personnel under surveillance for having criticized his administration or the governing party. He has invited police brutality on campus and tarnished the reputations of faculty members with allegations of support for terrorism based on protected political opinion and speech. As a government-appointed rector, İbiş has felt free to turn the university into an extension of pro-AKP policies and, in so doing, has violated the most basic principles of academic freedom, freedom of expression and assembly, and has made a habit of stifling all manner of criticism and critical scholarship—suppressing the very foundations of social and political sciences and humanities. As a member state of the Council of Europe and a signatory of the European Convention for the Protection of Human Rights and Fundamental Freedoms, Turkey is required to protect freedom of thought, expression and assembly. Turkey is also a signatory to the Universal Declaration of Human Rights, the International Covenant on Civil and Political Rights, and the Final Act of the Conference on Security and Cooperation in Europe (OSCE), all of which protect the rights to freedom of opinion, expression and association, which are at the heart of academic freedom. These rights are also enshrined in articles 25-27 of the Turkish Constitution. In addition, the right to education is protected by the article 42 of the Constitution. We urge your government to take all necessary steps to ensure that these rights are protected. We respectfully ask that your government take immediate steps to drop the disciplinary proceedings against dissident academics, to prevent the continuation of Rector İbiş’s harassment campaign against faculty and academic personnel on the basis of the content of their views and to reverse the termination of 45 faculty members at Ankara University, none of whom has the slightest link to terrorism or the attempted coup of 15 July 2016. We also urge your government to investigate the double standard applied to faculty who participate in the “political academies” convened by different political parties. The evidence that those who participate in the AKP political academy are rewarded while those participating in opposition political parties’ academies are subject to harassment, disciplinary investigation, detention and criminal prosecution suggests serious violations of academic freedom in the application of Turkish regulations governing higher education. Finally, we continue to urge you to take note of mounting international condemnation of the dramatic erosion of democratic rights and freedoms in Turkey.